Blogger.com offers a free hosting and sub-domain.You will agree with me that the length of the subdomain is a major turnoff. Personally I get discouraged from memorizing domains that are too long and this generally affects site traffics. In this tutorial, I will show you how to change your sitename.blogspot.com to a shorter and more memorable sitename.tk, sitename.cf, sitename.ml, or sitename.gq. 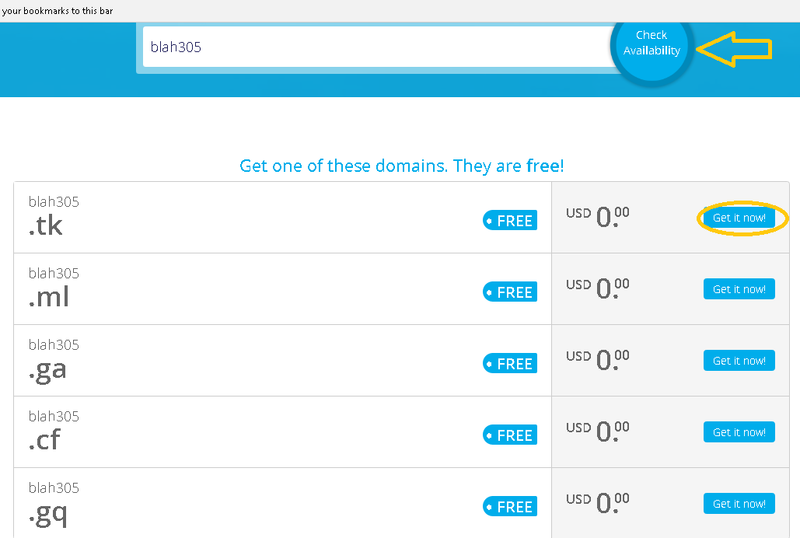 You can get up to one year free domains service with this domains. These domains are powered by freenom.com and you can get as much domains as you want.The best part is that you can use these domains to apply for a non-hosted adsense account! Follow me as I provide you with undiluted hacks to shortening your long, boring sub-domains . Visit http://freenom.com and enter your desired domain. For the purpose of this blog post, I will enter blah305 in the search box and click on check availability. 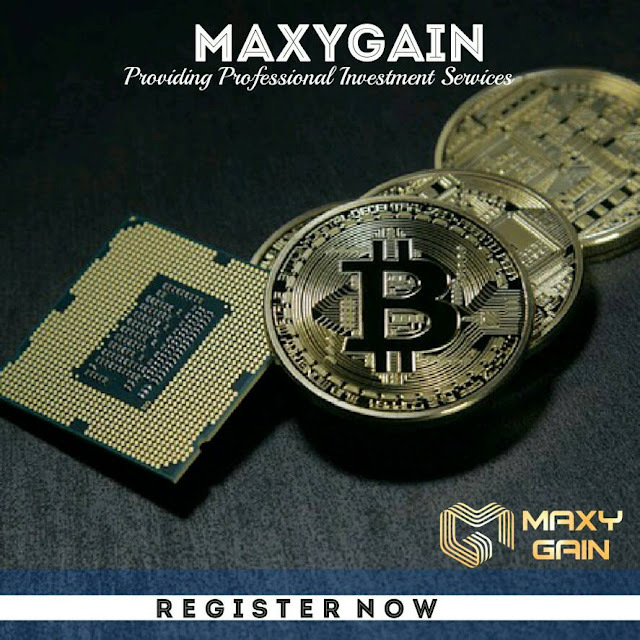 We will be presented with results showing you all the available domains.Select whichever one you want by clicking on get it now. We will select blah305.tk for this experiment . 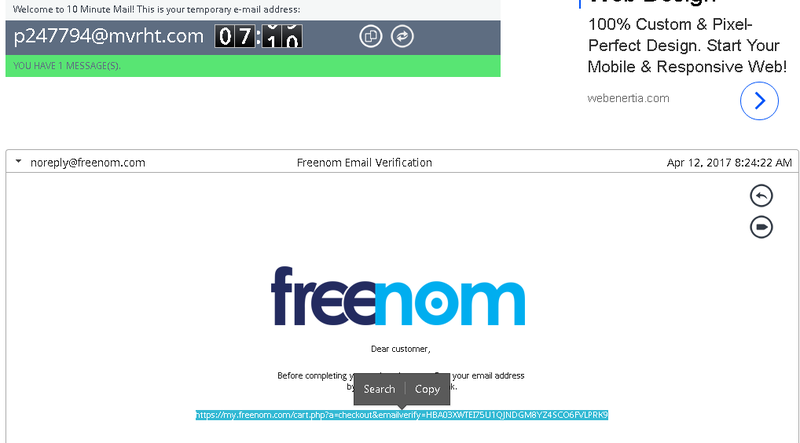 You can decide to select all the domains... the choice is yours. .
After clicking on continue, you will be required to enter your email address for verification.Enter your email and click on verify email address.Alternatively, you can use a disposable email address to verify your freenom domain. 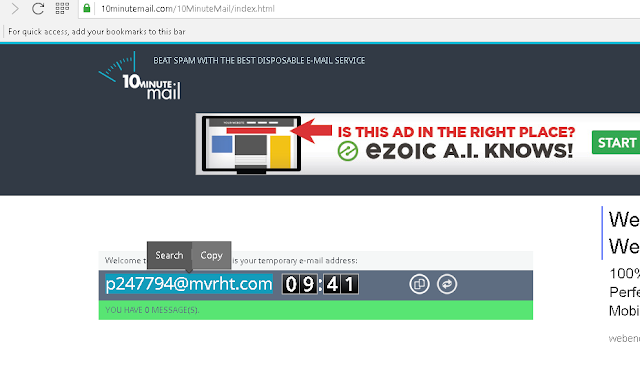 simply visit http://10minutemail.com , copy the free email address generated and paste into the freenom form and click on verify. This is illustrated below. After pasting your email address, click on verify email address and the verification link will be sent to the email address generated. 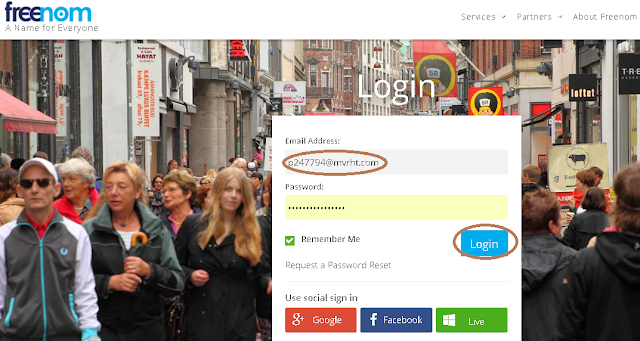 If you are using a standard email address, simply login to access the verification link.If you are using 10minutemail, copy the verification link sent, paste in the address bar and hit the ENTER button and your email will be verified. Keep record of your email address if you are using 10minutemail for log in purposes. Agree with the terms and conditions and click on complete order and go to your client area. Login with your email and password as shown below to access your client area. Once in your client area, click on services and on my domains. 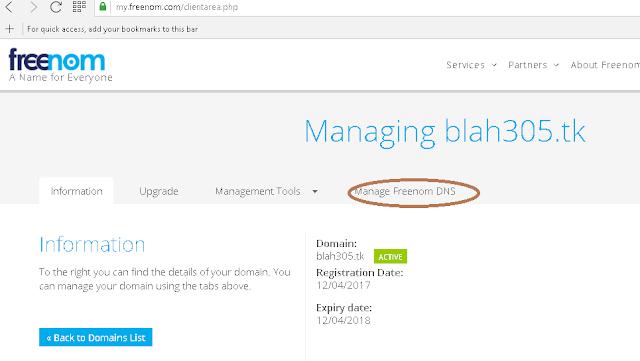 On the next page, click on Manage freenom DNS and click on more records twice to add 2 more records. Check image below. 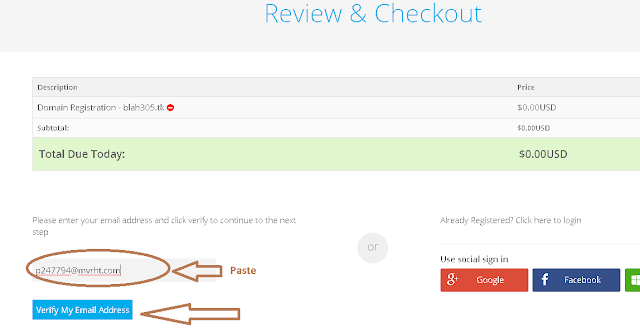 Fill in your freenom records as it appears in your blogger settings except that the boxes I circled in the image below must be the same with yours. (also enter 216.239.32.21 under the first target) Check the image below. You can now see your blogspot.com subdomain replaced with your new domain. Finally click on Edit and tick the redirect yourblog.tk to www.yourblog.tk and click on save. Visit your new URL and you will be redirected your blog! I hope you enjoyed the tutorial. Let's hear your comments! Can it be used for more than a year, free? Christian loves writing about cars, gadgets and blogging. Sit back as he dishes them out to you undiluted!